Reds fans were put into a frenzy last night as a video circulated of a Mercedes van driving into Melwood, with the Twitter user who posted it jokingly claiming it was Nabil Fekir. The club pulled out of a £53 million deal for the attacking midfielder in the summer at the last second, but even the slightest suggestion the move could be resurrected was sufficient to raise Reds fan’s hopes. However, as one Twitter user pointed out, Fekir is currently in Spain, training with the rest of his Lyon teammates during Ligue 1’s winter break. First day of the transfer window and someone has already went Van spotting for Fekir near Melwood, even though he’s currently at Murcia in Spain. Have to say I do miss the transfer window. 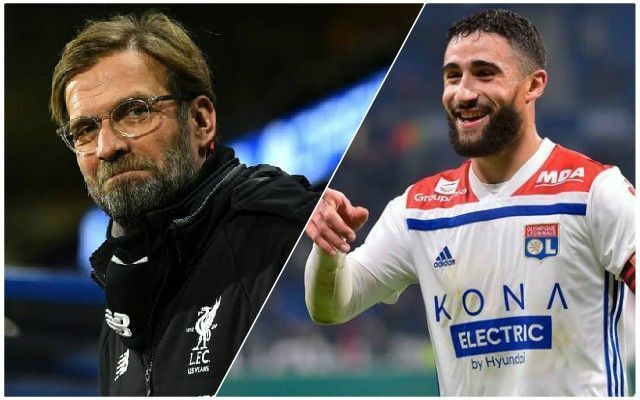 Jurgen Klopp has previously hinted that he won’t make any January signings, but that won’t stop the rumours – especially if they involve Fekir. The reason the club pulled out of any deal for Fekir in the summer remains unclear, but if, as was suggested at the time, it is because of injury concerns highlighted during his medical, that won’t change anything. If someone who Klopp wants does become available this month, the club will do everything to make a move happen – but don’t bet on Fekir being one to arrive.